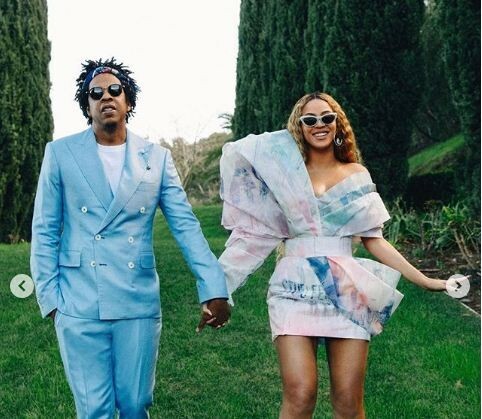 The power couple that is Beyonce and Jay-Z were reportedly honoured at the 2019 Brit Awards, taking home the prize for Best International Group. Beyonce and Jay-Z just did this shocking thing and we can't believe it. The power couple that is Beyonce and Jay-Z were reportedly honoured at the 2019 Brit Awards, taking home the prize for Best International Group and although they didn't attend the ceremony at the O2 in London, the couple accepted their trophy via video message — with a surprise nod to none other than the Duchess of Sussex. Apparently, in their acceptance speech, Beyoncé and Jay-Z recreate their music video for "APES—," in which they pose in front of Leonardo da Vinci's "Mona Lisa." However, in the world-famous painting's place is a portrait of Meghan donning a sparkling crown and pearl necklaces. "Thank you so much to the Brit awards for this incredible honor," Beyoncé says to the camera. "You guys have always been so supportive. Everything is love. Thank you." Reportedly the rapper then replies, "You're welcome," and the duo turn to look at the portrait of Meghan Markle. Apparently, soon after, Beyoncé shared a photo posing with the portrait to Instagram. "Thank you to the Brits for the award for Best International Group. I won this award back in 2002 with my besties, Kelly and Michelle," she wrote. "How lucky am I to have been in a group with my other best friend, the GOAT Hova. " 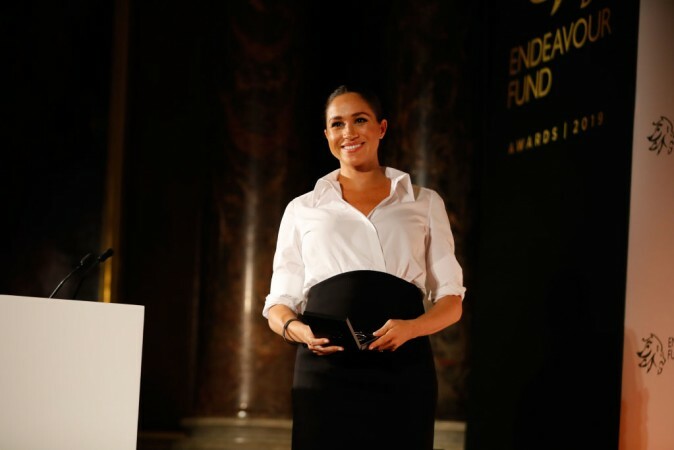 Reportedly the pop star then gave a short explanation of their reason for including the Meghan photo — and offered her congratulations on her royal mom-to-be status! "In honor of Black History Month, we bow down to one of our Melanated Monas," she wrote. "Congrats on your pregnancy! We wish you so much joy." Well played @Beyonce & @S_C_ ?